The Biogeography & Ecology Lab: The Laboratory of Biogeography and Ecology at the Centennial ESA meeting! The Laboratory of Biogeography and Ecology at the Centennial ESA meeting! This year, the Ecological Society of America celebrates its Centennial Meeting in Baltimore, Maryland, August 9-14, 2015. 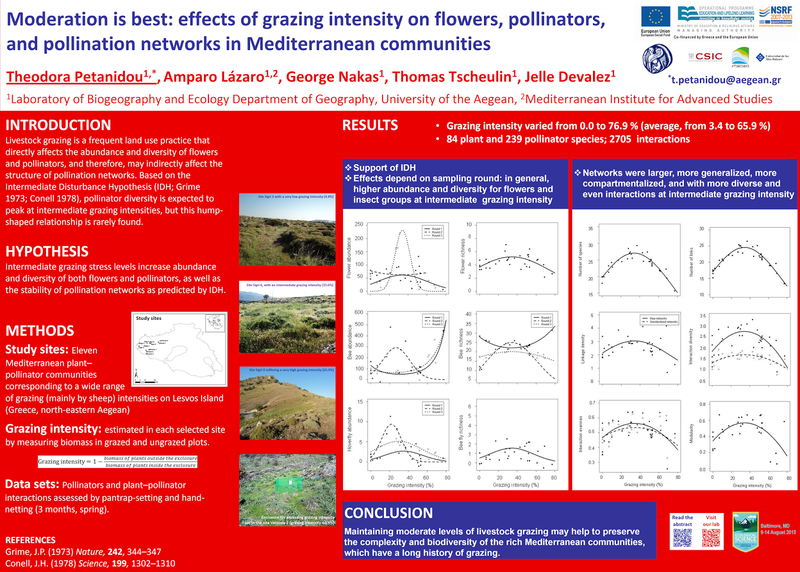 Our lab will be represented with a poster presentation (see below) about the effects of grazing on flowers, pollinators, and pollination networks in Mediterranean communities. This work is a product of POL-AEGIS project.